Who says dogs can't fly?!?!?! Does your dog love the water? Does your dog love to jump? Well then you have come to the right place! Smoky Mountain DockDogs is the right club for you. We are the first DockDogs® affiliated club in Tennessee! We are located in Knoxville, but serve all of East Tennessee, Middle Tennessee, and Southwest Virginia. 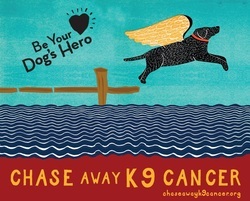 SMDD started in May of 2010 by Trent Steele, his dog Alex, Tiffany Flach, and her dogs Karma and Kaos. Dock diving is a growing sport nationally and internationally. You have seen it on ESPN® and the Outdoor Channel®. We have decided to become a part of the DockDogs® organization. 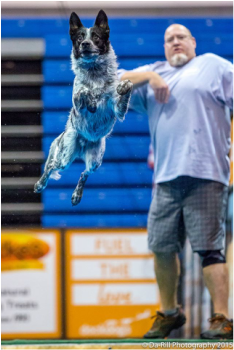 DockDogs® of Medina, Ohio, is the independent governing and sanctioning body for regional, national and international dock jumping performance sports. Check out the rest of our site to learn more about dock diving. It is a great sport to get involved in with your pet!